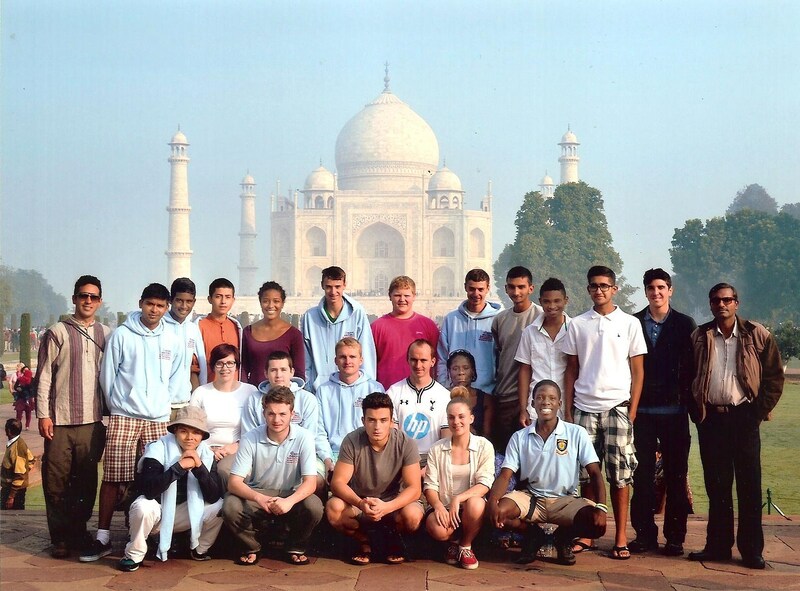 After nearly a year of planning, days of fundraising, wet training weekends on Army Training Estates, 282 Squadron RAF Cadets India expedition team consisting of 20 members departed on a 10,000 mile adventure which would also be the most challenging task the cadets would have done; To refurbish a school in a harsh poverty stricken environment and change some very special lives, forever. The cadets couldn’t prepare enough for what they were about to see and experience. This expedition would definitely change their lives! Bags full of donated clothing and equipment for the desert, which included plenty of Immodium; the team were eager to complete the mission and make a difference. The team spent the first day acclimatising and were welcomed to the country by Brigadier McCall, the UK Defence Advisor in Delhi. In the first few hours of arriving in the country, the team came face-to-face with the Indian poverty crisis. Containing most of the world’s poverty, the seriousness and magnitude of the situation in India set in with the team, more so when they arrived at the train station ready for an overnight journey to the desert which was an experience in itself! 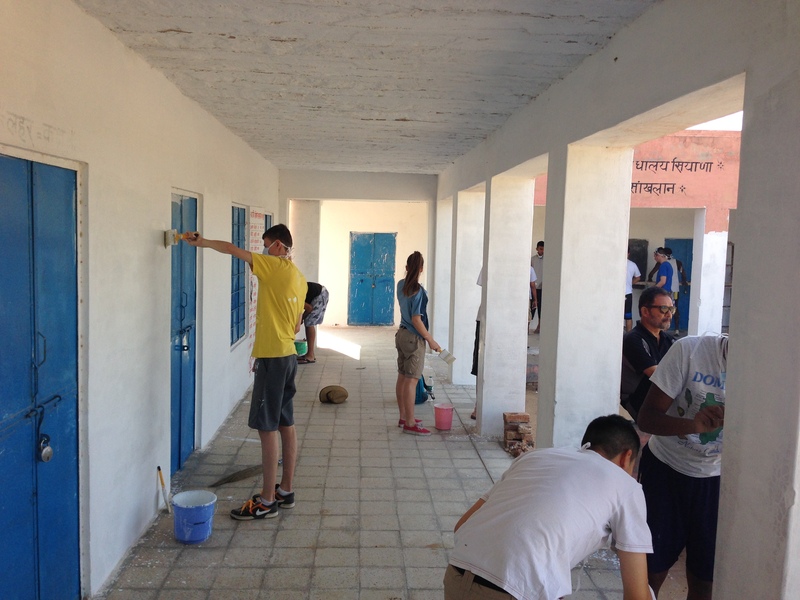 The team got to work on the school refurb. Minds were set and the leadership along with the great teamwork ability was evident as the cadets worked hard each day to finish the job. Cadets had meetings to discuss what to do in each of the classrooms and several themes were applied. Cadet Sergeant Mark Kawesa who took on the role as Project Manager spoke of his motivation, “I wanted to help, I enjoy helping others. Seeing what standards children have here in the desert made my efforts double to give them something extra special”. The days were long and hot. Fetching water from the wells, using primitive equipment, avoiding scorpions and odd looking wasps all made the task more challenging for the team. The following days were spent travelling across the desert by camel. The team spent many nights camping in front of fantastic and memorable views of the desert plains. There was plenty of time for the cadets to reflect on their achievements, life, and prosperous future ahead of them, along with demanding levels of teamwork as they often only had themselves due to the remoteness of the camp. Leaving the desert, the final days included a safari in the Bengal Tiger National Park and a visit to the glamorous Taj Mahal. Members also got the chance to meet the maintainers of the Taj Mahal and work with the equipment used to shape the marble used on the Taj Mahal. We thank the Ulysses Trust and RAF Charitable Trust for their support.